Fishing can be an interesting or an extremely tedious activity to carry out. This could go a long way in determining how your day could be. A number of bait-casting rods are out there and that makes it necessary for you to choose the right one with suitable features to boost your chances on the fishing game. How to Choose Best Baitcasting Rod in 2019? The benefits that come with choosing a bait-casting rod that suits your fishing activity cannot be over-emphasized. With the right equipment, your fishing activity can really be a fantastic experience. However, there are many things you need to consider when choosing the best bait-casting rod. How about we discuss some of them in good details? To start with, knowing the components that make up a rod and how much they go about having an influence on casting goes a long way. The power, action and length of a rod are things you should really take note of, anytime you want to pick a suitable bait-casting rod. Power gives a measure of a rod’s strength. For a rod to be bent, some amount of pressure must be put in by the angler. Rods come in various power characteristics. They could be heavy, medium or light as the case may be. Heavier rods require much pressure to get them bent whereas light rods do not require that much of an effort. It is really important you know your line test and get a rod equally suitable for it. A heavy power rod works fine for a heavy line weight and a light power rod goes with a light line weight. Also, choosing power rod is dependent on the water you intend carrying out your fishing activity. If you are fishing on an open stream of water, a light power rod is strongly advised. However, if it is a thick cover of water, a stronger heavier rod will do the job. Action shows the extent to which a rod can bend when pressure is applied. Many terms have been used to describe rod actions ranging from light, medium and heavy to fast, moderate and slow when talking in terms of speed. A fast action rod deflects in about top three inches of the blank to give a quick speed. Sequentially, a moderate action rod deflects in about top half of the blank. A slow action rod bends almost at the rod’s lower third. In a situation whereby the casting distance is not too long, a fast action rod is preferable. However, situations when the casting distance is a little bit long, a moderate action rod is the best bet. It is important to note than an angler with a long rod has a greater advantage over a fish than an angler with a shorter one. Many benefits come with using a long rod. A long rod helps you keep balance when pressure is applied against the struggles made by a hooked fish. Mistakes made by anglers are being annulled with a good swing when longer rods are used. Therefore in choosing the best baitcasting rod, always choose the rod with the longest length. Graphite and Fiberglass are the major materials from which most rods are made. Fiberglass is suitable when your bait requires a light rod. However, Graphite is lighter and sensitive than fiberglass. This quality makes it the best choice. This casting rod is made from top-notch SC-III graphite. 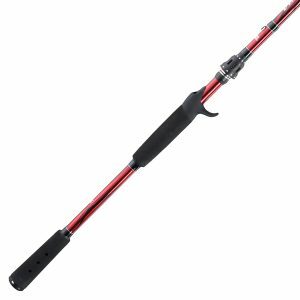 St. Croix bass casting rod is made available as a result of fantastic technology to ensure you are provided with an amazing fishing experience. By a mere combination of Integrated Poly Curve Technology and Advanced Reinforcing Technology, top quality performance is delivered always. St. Croix bass casting rod is blessed with exciting qualities. The rod is light weight and really durable. St. Croix bass casting rod, being made of graphite makes it a very sensitive rod. Its Power, Action and Length are all inclined to give you an awesome experience. The technology involved in making this rod ensures that tremendous strength is made available without making the rod any heavier. It is really safe to say that St. Croix bass casting rod is really comfortable and easy to use. Its light weight makes it easy for you to handle. Its strength ensures that you overcome the fight put on by the struggling bass easily. St. Croix bass casting rod boasts being protected by black-framed aluminum oxide rings that protect it against corrosion. It also comes with a cork handle that ensures you have a firm grip of the rod. The grip has a comfortable core wrapped with neoprene. 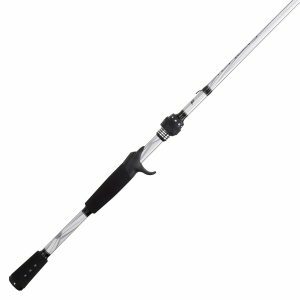 St. Croix bass casting rod has a reel seat with a huge surface area being exposed to make it very sensitive. This rod also comes with awesome micro guide concepts. It boasts of having 13 standard guides which is relatively high compared to its counterparts. In all, St. Croix bass casting rod gives you the utmost control with great experience when fishing. St. Croix was constructed using Integrated Poly Curve tooling technology. It is built with premium high modulus graphite material that makes it very sensitive. It features a hooded Fuji real seat made to give you comfort. It comes with very nice package dimensions of 96 x 4 x 4 inches. Croix bass casting rod is precise and equally responsive. The hook keeper of the rod is reliable. It comes in variants in terms of size, power plus action depending on your choice. It sells at a high price. This rod is made from the combination of fiberglass and graphite materials. The graphite ensures that the casting rod is sensitive and a great combination of the two materials gives the rod adequate strength and makes it really durable. The GX2 Casting Rod is absolutely light weight and equally easy to use. This rod has become popular among users because of its versatility. 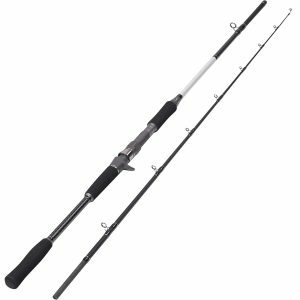 Ugly StikGX2 Casting Rod comes with a moderate length of approximately 6-feet. This moderate length lessens the fear that the rid may snap at any time. The Ugly Stik GX2 Casting Rod is blessed with great balance to ensure you are really immersed into the world of great baiting experience. The foam handles and the characteristic light rod weight further complements the balance of the rod. The GX2 Casting rod is highly recommended especially when you plan on having lengthy sessions of fishing. The Rod comes with a medium power rating. When you apply some pressure on the medium-sized, it will deflect at about the top as the rod will not bend that much. This rod also works fine when you intend going on a quick-water fishing. 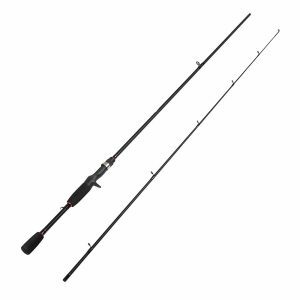 Ugly Stik GX2 Casting Rod also comes with an action rating considered as Medium-fast. This feature ensures that the rod returns quickly to its initial normal state. This rod gives you a great advantage with the sensitivity it provides. Its light weight complemented by its strength ensures you have a good catch. The qualities possessed by this rod work to make sure you enjoy your baiting game. Ugly Stik GX2 Casting Rod is fantastic for saltwater ground fish. The quality GX2 Casting rod is further complemented by its price which is really friendly to the pocket. It is about 6 feet long. It has a medium power rating. It is built of both fiberglass and graphite. It features a medium-fast action rating. It has a really light weight. It is can be used for different purposes as it is really versatile. It comes at a cheap price. The rod is lightweight and amazingly easy to use. Sensitivity together with its strong appeal is up there with the best. It is a little bit difficult to really know the purpose of its usage. Entsport casting rod is made of graphite to enhance its sensitivity. It has an impressive construction together with an awesomely neat design. Entsport casting rod is really durable and strong. It is about 7- feet long that comes with a dual action rating, being Medium and Fast. Entsport graphite-made 2-piece casting rod also features 3 pocket fabric holders. It is quite interesting that this rod works fine for different king of fish. Entsport casting rod features 2 tips that ensure its balance is kept and easy to use. The rod has a medium heavy power rating. The camouflage design on the rod makes it suitable for casting. Entsport casting rod is constructed using a ton of carbon material. The rod features a moderate action rating to ensure casting is much easier. The reel seat has been specially made to give you total control with interesting experiencewhile fishing. Entsport boasts of a year warranty. It comes with a bag to ensure it is kept safe if you are traveling long distance. Its versatility has made it popular among users. Also, its lightweight is complemented by its strength. Entsport is an embodiment of strength and sensitivity that gives you a great satisfaction for the money. This rod comes with stainless steel guides that prevents it against corrosion. The steel guides are well spaced to give you the best quality performance. With Entsport, you enjoy huge advantage in that you can quickly react when a fish is attracted to your bait through the top-notch sensitivity it provides. Entsport also features an EVA handle to ensure you have a good grip all at your convenience. It comes with 7+1 guides with ceramic inserts to give you good level of durability. It is also made of quality graphite to enhance your performance. Its real seat is designed to give you comfort and great control. It weighs about 1.3 pounds. It features package dimensions of 44.5 x 4.5 x 2 inches. It gives you comfort during usage. It may prove difficult to disassemble especially if you don’t know a thing or two about fishing rods. If you are looking for a rod that provides a good level of sensitivity while at the same time is not really expensive, then Berkley Lightning Casting rod is the one for you. 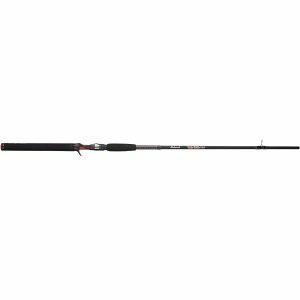 This rod boasts of providing a fair level of durability. Berkley Lightning rod comes in various models of lengths and weights, so you are free to choose the one that suits you the most. At this point, it is important to note that Berkley rod is made of graphite which accounts for the good level of sensitivity it provides. Its fair level of durability is as a result of the component fiberglass. This rod provides a great level of stiffness. The handle of Berkley rod is designed to minimize fatigue. This implies you can use it for a long period of time without feeling any form of stress. Berkley casting rod comes with standard, double foot Fuji guides. The rod gets its protection against corrosion through its ceramic Silicon Carbide inserts. Berkley Lightning rods are available in various action ratings. This rod particularly works fine for young men and adults who are on the lookout for affordable casting rods. It weighs 14.4 ounces with product dimensions of 87 x 7 x 5 inches. It is 7 feet long. It comes with a medium heavy power rating. It is made of casting IM6 lightning rod. It features hidden thread technology at the fore grip to give your fingers pleasure. Its multi-modulus graphite provides the rod with increased sensitivity and strength. 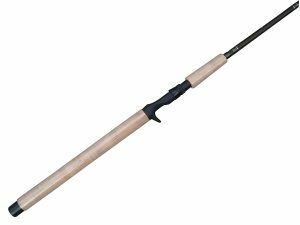 Berkley Lightning Casting rod is affordable. The reel seat of the rod transmits energy. The rod is constructed with helical carbon materials. It is a single piece casting rod. It does not possess a high level of durability. Abu Garcia Veritas is a top quality casting rod that provides you with awesome performance while fishing. It is 7 feet long with amazing backbone that is sufficient for you to have a great cast. An important quality of this rod is its versatility. You can use the Veritas rod for many functions be it jigging or bait casting. Veritas Medium is relatively lightweight and provides a fair degree of stiffness. 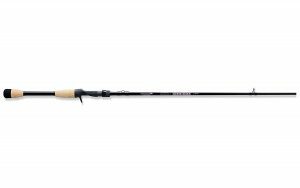 Abu Garcia Medium Veritas rod is made of graphite which makes it really sensitive, You get a whole lot of advantage over your fish because it provides you with a great deal of awareness. It is right to say that while this rod is lightweight, it is also durable. Another exciting quality of this rod is that its micro guides are made of Titanium alloy. The guides feature Silicon Carbide inserts to further enhance its durability. The superb quality EVA of great density ensures you have a good grip and great balance even when wet. Medium Veritas is tested and trusted. Little wonder it has a 3-year warranty. This rod comes with a medium power rating. So, if you are hoping it can win a war over medium and large-sized fish, yes! It can. The Veritas casting rod features a moderate fast action rating so you can expect it transfers deflection back to the blank. The rod gives room for you to catch both small and large fish as it bends in the top half anytime the tip is under the influence of pressure. As an angler, you also enjoy good quality control that really gives you advantage during your casting session. The rod gives you a fair amount of casting distance with a powerful hook setter. The rod provides you great balance with tremendous sensitivity. With this rod, you can set the hook easily and an overall great performance is guaranteed. It comes with a length of about 7 feet. It is constructed using high quality graphite material. It comes with standard micro guides built of Titanium alloy. To add to its durability attribute, its guides have silicon carbide inserts. It has a medium power rating. It comes with high-grade EVA to give much comfort. The rod is durable and lightweight. It features a great level of sensitivity. It could wear out easily. It does not come at a cheap price. Fiblink 2-piece baitcasting rod is built on a very fine grade graphite material. It comes with a distinctive fiber layering pattern that is made to bring down weight and give a great deal of sensitivity. This rod is sure to provide you with a sound and reliable performance. It is interesting to note that the stainless steel guides of the rod are well spaced. This ensures that free line flow and optimum casting performance is enabled. Also, the reel seats of this graphite baitcasting fishing rod has been designed make you feel comfortable. The rod has EVA split grip which also gives you great control and comfort. You should not feel much stress or strain on your arms or fingers while using it. This rod also comes with a fast action rating. The rod features a medium-heavy power rating as well. The fact that it is lightweight makes it really easy to use. The Fiblink Graphite baitcasting rod has a powerful hook keeper that is capable of serving several functions. This rod comes with 6+1 standard guides spiced with ceramic inserts. It is fair to say that Fiblink Graphite baitcasting rod is really durable. This rod has been tested and trusted with great results. It comes with a one year warranty. This means that in any case of error with the rod, you can approach the seller and within the shortest period of time, your problem will be solved. This Fiblink 2-piece baitcasting rod has attracted lots of great feedbacks from lots of customers all over the world. Its qualities are really impressive. It also comes at a cheap price. Its reel seat is gently designed to maximize comfort. It’s built of graphite that brings sensitivity and strength to the rod. It comes 6 + 1 Guides plus ceramic insert to add much to its sensitivity and casting performance. It comes with a powerful multipurpose hook keeper. It also features top-notch EVA spilt grips. It has package dimensions if 40.6 x 1.5 x 1.5 inches. It weighs 4.8 ounces. Its reel seat and cork material gives you a comfortable use. It enjoys good customer feedback. It provides you with a delightful satisfactory service. It may snap during usage. This particular rod has managed to be Berkley’s favorite for over 30 years. It possesses a cork handle that’s designed to minimize fatigue, especially when it is used over a long period of time. It allows you to get a firm and comfortable grip. Its hybrid design ensures that it gives you a good degree of sensitivity. It is equally important to note that Berkley Cherrywood Casting rod has standard guides blessed with inserts of stainless steel. Cherrywood HD casting rod is lightweight and made of graphite. 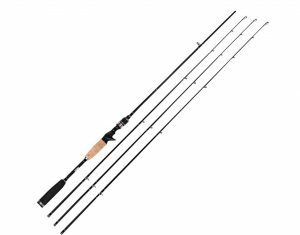 Berkley Cherrywood HD casting rod comes in different range of sizes depending on your choice. This rod provides you with fantastic bait control to give you an immersive experience during your fishing sessions. This fishing rod offers you a great deal of value. The rod has a good level of sensitivity and is equally flexible. The qualities of this rod ensures that your casting experience goes smooth. Cherrywood HD casting rod id relatively lightweight, so you’ll find it comfortable to use. Major feature of Berkley Cherrywood shows that it is made up of just one piece that is about 7 feet long. The rod possesses light, durable and tough qualities. It is a fast action rod and one you will surely enjoy using. However, it is important to note that this baitcasting rod may take a little bit of time to learn and master. This is based on how accurate and direct it’s being used to catch fishes. It has product dimensions of 90.5 x 1.6 x 1.2 inches with 6.4 ounces as its weight. It features a cork handle made especially for you to derive comfort. It is blessed with SS304 Guides to add to its durability attribute. It comes with a fast action fishing effect. 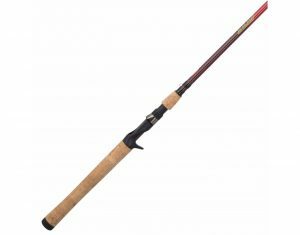 Berkley Cherrywood HD is a medium power action casting rod. It is susceptible to being broken. It may be hard to learn and master. This rod is specifically made to make casting a fun experience. When using this rod, you will observe that it is super sensitive. This is because it is made of 36-ton graphite block, which is a relatively great amount of tonnage. The Veracity casting rod comes with titanium alloy micro guides. The rod features a superb high density EVA that gives you a nice grip and maximum balance during usage. Interestingly, this single piece rod is blessed with a Nano Technology feature that protects it from harms. As an angler, you are most certainly on the lookout for a casting rod that is really sensitive while at the same time is lightweight. Most casting rods have to forgo being sensitive for having the lightweight attribute or vice-versa. Amazingly, Abu Garcia Veracity Casting rod manages to give a great combination of the two to ensure you are strongly immersed in the atmosphere of quality fishing experience. We can boldly say that the rid combines a generous amount of lightness, sensitivity and balance. This Veracity casting rod can also be used for all kinds of angling. Its overall make up is designed to make life easier for you during usage. When you also look at it, it comes at a reasonable price for its qualities. If you are the type that loves having lengthy period of fishing, then this one is for you. It is basically designed to give you the much needed comfort. It weighs 1.1 pounds with dimensions of 90.5 x 1.6 x 1.2 inches. It is made graphite material with high tonnage. It features Nano Technology to add to its durability. It comes with EVA grips of high density. Its standard Micro Guide system gives it much balance and adds to its sensitivity. It is constructed using modern technology and quality materials. It provides a fair combination of weight and sensitivity. It offers a good combination of action and power ratings. It comes with smooth standard guides and grips that provide comfort. It may take a while mastering the art of using it properly. When you are looking for a casting rod that has great flexibility and provides you with utmost control during casting, Okuma Steelhead Casting rod is the one to turn to. The rod possesses a good level of sensitivity as well as strong backbone. This casting rod can be used for various purposes as it is very versatile. Okuma casting rod works fine for fishing on freshwater habitats. The rod is constructed using graphite blank which accounts for its sensitivity. Interesting, it features standard guide of Aluminum oxide inserts. Its real seats are also made of stainless steel which gives it some sort of durability. It comes with one year warranty to show that it is really tested and trusted. Depending on how you want it, Okuma Steelhead casting rod is available in different range of sizes. You are absolutely free to choose from a host of varieties the one that looks perfect for you. It is also available in many varieties of power rating. Much effort was invested by the manufacturers of this rod to give you a satisfactory performance. It is important to mention that this rod has a powerful hook keeper which also contributes to its durability. Together with these amazing attributes, this rod is really affordable. When you look at its value to price ratio, you notice that it comes at a fairly reasonable price. The rear and fore grips of the rod are well designed to hold onto even in wet situations. Okuma Steelhead casting rod also has a well compressed integrated cork built cap. Its Zirconium guide inserts does well to reduce braided line frictions. It comes with a heavy action line rating. Reel seats hooded with stainless steel to give you comfort. Its Aluminum Oxide guide inserts gives it resistance against corrosion. It comes with product dimensions of 67 x 5 x 4.5 inches and weighs 2.2 pounds. It is constructed using IM8 graphite which makes it relatively sensitive. It provides good value for its price. It comes with small eyelets. Fiblink baitcasting freshwater saltwater inshore boat fishing road is a must have for a fantastic and unforgettable fishing experience. It relatively inexpensive and guarantees you have a great time with its great features. Fiblink baitcasting rod is made of graphite. This graphite feature gives the baitcasting rod some degree of sensitivity. It has great resistance against corrosion through its component carbon material. This rod is essentially designed to give you comfort during usage. Fiblink baitcasting inshore fishing rod also comes with a medium- heavy power rating. This gives it the ability to handle medium (8-20lb) to slightly heavy (10-25lb) line weight. Its highly dense carbon fiber material built with the new ArmorCore technology contributes much to its strength and tough nature. Interestingly, this baitcasting rod has 7+1 guide which combines durability as well as smoothness. The rod is made of a stainless steel frame and ceramic ring which together ensures that the fishing rod has stability, durability and the line is protected. There is the presence of Ultra-light reel seat and EVA Split Grip. The EVA split grip offers you a fantastic cushion effect, absorbs shock and is well suited for wet environment. You will surely be overwhelmed with how awesome this baitcasting rod is. The action rating of a baitcasting rod is always one of the qualities to watch out for while choosing a fishing rod. Fiblink freshwater fishing rod comes with a fast action rating. This means that when pressure is applied at the tip, it bends in top third or less of the blank. Fiblink baitcasting inshore fishing rod is tested and trusted. It comes with one year warranty. Overall, this baitcasting rod promises to give you a delightful performance. It comes with a medium heavy power rating with a fast action line weight. It gives you great practicability as the rod can be used conveniently on both freshwater and saltwater habitats. Its smooth and durable 7+1 guide is also worth mentioning. It is constructed using graphite material. It weighs 3.2 ounces with package dimensions of 37 x 2 x 1.5 inches. The rod is incredibly light. The rod has longer hand section which gives you better control and leverage. The rod is solid. It therefore enables you to have a firm grip during usage. It has 2 connection points. It may be too light to use when fishing for White Sea bass. Generally, we’ve seen that these baitcasting rods all have exciting features to ensure we have good fishing experience. You may want to take a good look at each one of them and choose one that best suits you, depending on your budget plan and the purpose of usage. However, we would suggest you go for the Entsport Baitcasting rod. This is because you will be given two rods when you buy which is definitely a plus. Also, it has a replacement tip in case one breaks during your fishing session. Its tremendous strength and superb sensitivity makes it a joy to have. It also offers you a good price to value ratio.